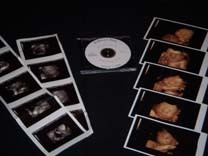 First Look Sonogram specializes in 4D ultrasound exams. The benefits that you will share by viewing your unborn child will result in prenatal bonding between mother, father, siblings and the unborn child. You can now share the exciting first look of your unborn child with those closest to you and make the forthcoming birth that much more exciting. 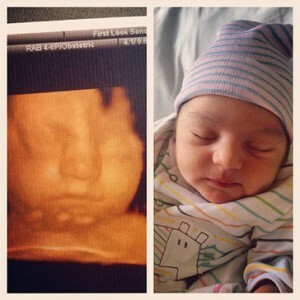 If we can not determine the gender of your baby 100% at your visit, we will bring you back FREE of charge! We require that each patient has consulted with their respective physician prior to participating in our service and that at no time is this exam to be used in place of a complete diagnostic ultrasound. A report and/or copies of the ultrasound can be forwarded to a patients physician if either requested by that physician or if there are any medical concerns during the evaluation of the ultrasound. All visits will be recorded on 1 DVD or Take a DVD home with you at each visit for only $10 more per visit! First Look Sonogram provides limited medical ultrasounds to the public. All sonograms are scheduled by appointment only. We do not provide measurements or determine due dates, and will determine the gender of your baby if requested and circumstances permit.